made with Korean rice, glutinous rice, boxthorn, non-glutinous rice and imported sesame seeds. This snack consists of a soft texture. It is also able to help with digestion with it's ingredient of Boxthorn. A perfect snack for anyone to consume as it is not overly sweet. Individually packaged to retain it's texture and taste until the very last snack is eaten! Expires after 6 months of the manufacture date. Please store in room temperature. 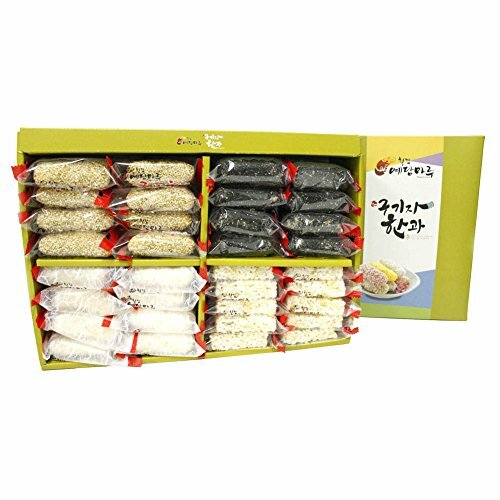 Ingredients: Korean rice, glutinous rice, boxthorn, non-glutinous rice and imported sesame seeds. Helps with digestion with it's ingredient of boxthorn. A healthy nutritious snack that consists of a soft texture and isn't overly sweet. Expires 6 months after manufacture date. If you have any questions about this product by Mother Hangwa, contact us by completing and submitting the form below. If you are looking for a specif part number, please include it with your message.